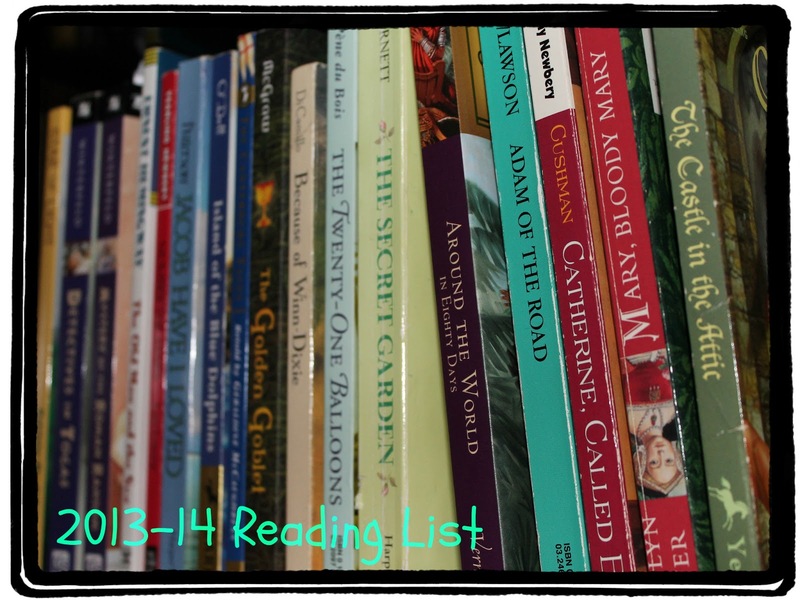 A RUP LIFE: 2013-14 Reading List for Homeschool! 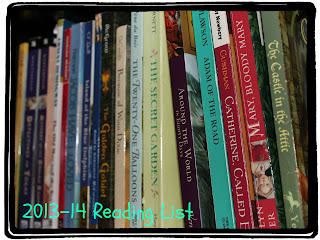 2013-14 Reading List for Homeschool! This is a big list but I know the kids are capable of completing a good chunk of it. The idea is to have a book going for 1-2 weeks so depending on the size of the book they will read approximately 20-30 pages a day during the school day. This list also reflects our History choice for 2013-14. We will be finishing up Mystery of History Vol 1 and beginning Mystery of History Vol 2. I will have a more detailed post on our curriculum choices for next year for you coming soon. I also need to tell you that I have a pretty big list of books to go with Mystery of History as well! This is not in a final order it is just me getting it on the page for now. Both boys will have their own list in a order for them. My personal goal is to read all the books on their list as well. I own all but 5 books (the starred titles) on the list right now but they are going to be purchased very soon. I included links to amazon to purchase. I have purchased many of these books new from there. Some I found at the homeschool convention's used sale and a few at my library's resale site. I also encourage you to look on ebay for book lots. Sonlight core G includes many of the above titles - so you can search that title. Hope this helps you with your school planning! If so please leave me a comment letting me know!